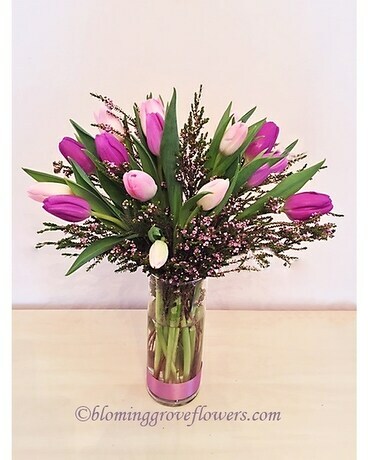 16 tulips and spray heather, all gathered into a simple cylinder vase that is decorated with a ribbon. Please note that both, tulips and heather, are seasonal flowers. Also, Tulips may require additional time to mature and show color. Please call for tulip color and availability before ordering. Thank you.